Both of my holidays this year have heavily featured iced tea and the current UK heatwave has inspired me to make my own as the shop bought ones are so sugar laden. This is a cold brew method which just needs steeping in the fridge overnight or during the day while you are at work. I try to enjoy decaffinated tea where possible and this also works well with decaf teabags. Add the tea bags, sugar and mint to a jug or carafe and pour over the water. Squeeze the lemon slices over the jug and drop into the water. Stir to mix and start to dissolve the sugar. 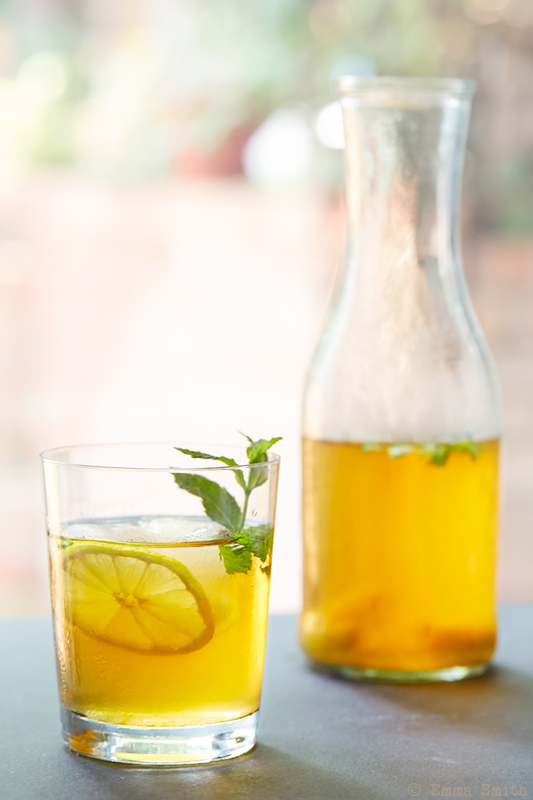 Refrigerate for 7-8 hours before serving over ice with another slice of lemon and a sprig of mint.